PayInvoice announces the launch of its Interactive Dashboard, which enables customer invoices and keeps track of each one with ease. This dashboard shows complete status of invoices with paid and due dates. So, no more hassles of looking into email for each invoices, time to handle all at one place and take your invoice management to a whole new level. Invoice system should be smart enough to prepare invoice data with in seconds, which helps business in creating invoices and managing all sales information at a glance. Our system includes serialization for clear accounting purpose. PayInvoice now allows to send invoice PDF files directly to your customer's email. You probably require to send bunch of emails at a time, simply because it's a pain to go inside an invoice and send that invoice to email one by one. With this release, PayInvoice solved this issue. 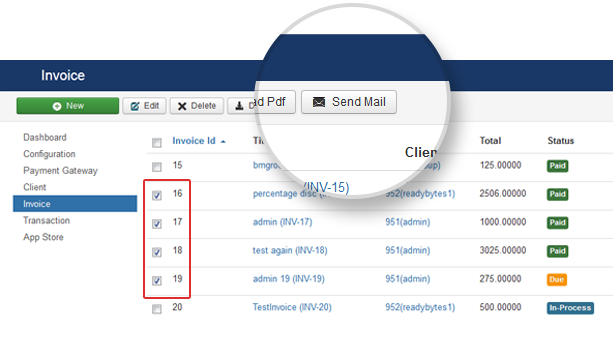 Added an option to send bulk of email invoices and see their status directly from the grid screen. 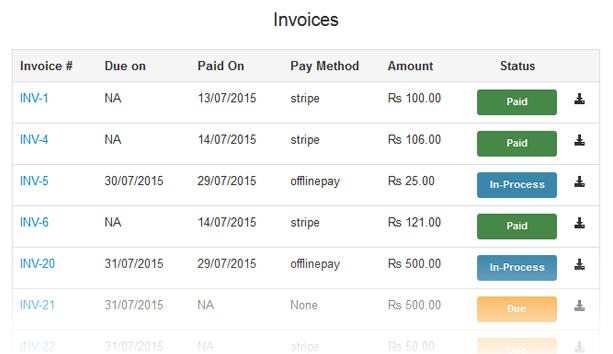 PayInvoice increases visual for showing invoice status (Paid/Due/in process). 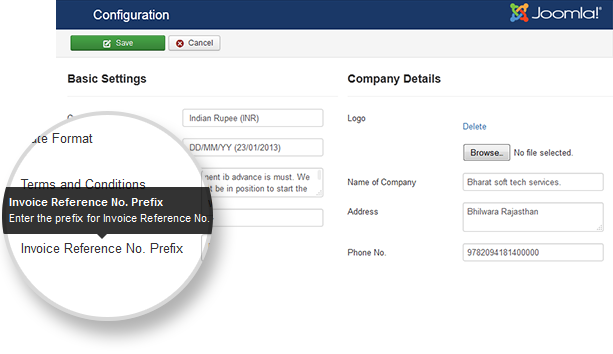 Status is provided with different color box for easy identification. Client is the first thing which is required to send the invoice. So, now you can make a new client by just clicking on "Add a Client" link in Invoice screen. A single step to move ahead for creating invoice. We have recently rolled out a major revamp in PayInvoice layout. Featuring a whole new look and feel, PayInvoice is now more intuitive to use, with a fresher and cleaner layout. Mobile users now get a much improved interface, with access to your invoice anytime, anywhere. PayInvoice automatically creates the invoice number counter increment step. This was an important missing feature as admin can get issue in their account system due to wrong invoice number with manual invoice number. Now no more hassle of remembering the last invoice no, as our system will automatically increment this and provide you a clear relevant invoice no. 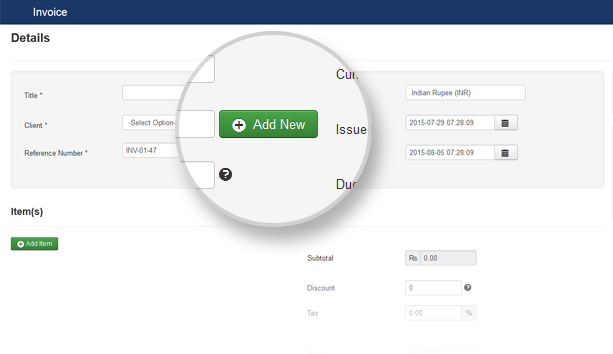 Look of invoice is in your hand as it now in your control to choose prefix of invoice as per your choice. Its your business, so why to go with otherâs choice. A great campaign with discounts can be an effective way to boost up sales and get your business with happy customers . Itâs also a great way to reel in repeat buyers and keep people in the loop. To have this vision in focus, we have implemented percentage based discounts. 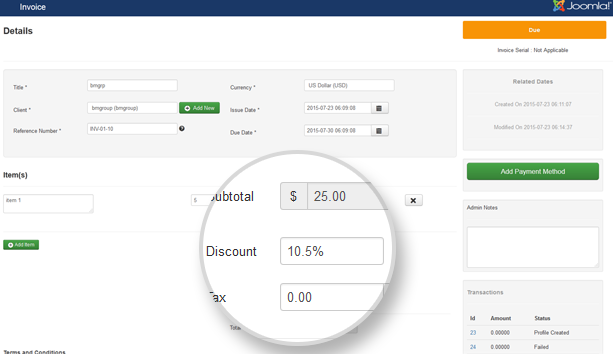 So now you have power to provide flat or percentage discount to your buyers without having to worry about calculating percent manually and then place in flat discount area. Do let us know your experience of using PayInvoice. Are there any more features you expect in PayInvoice? Please share with us and we would love to meet your expectations. Happy Business with PayInvoice ! !